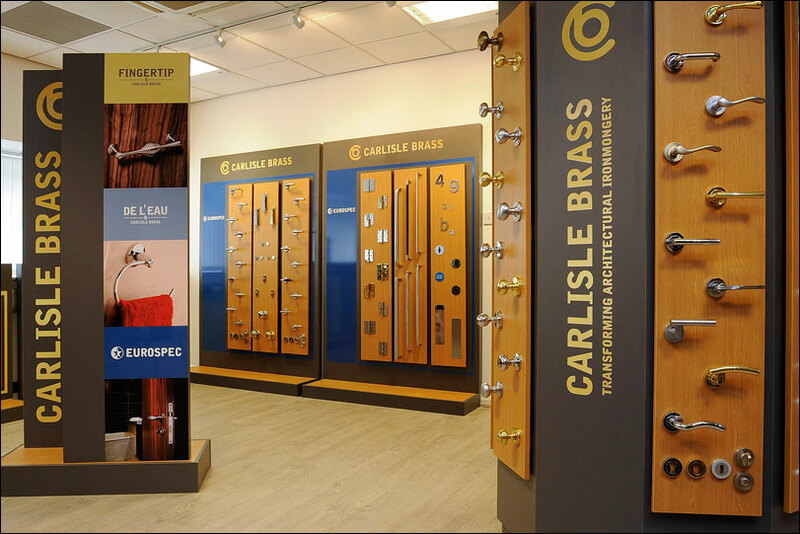 Carlisle Brass are the UK’s largest specialised developer of door and window furniture for residential and commercial properties. 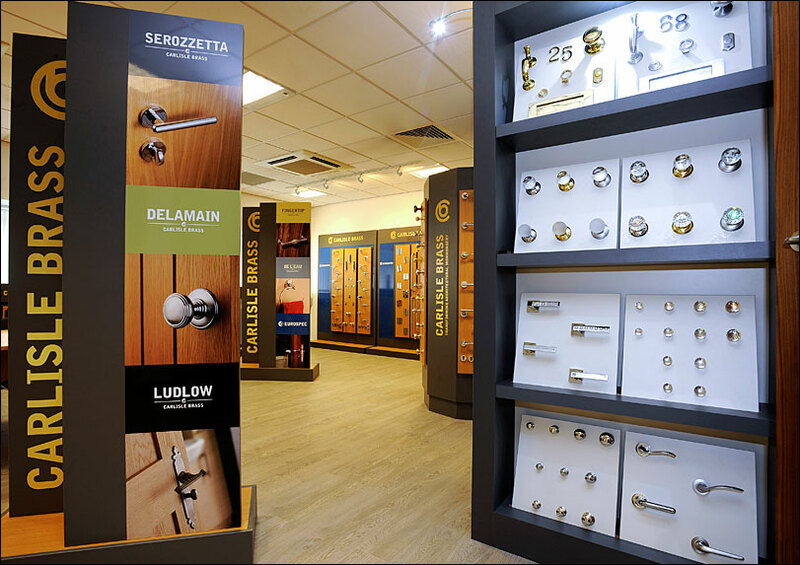 Showcasing their products in showrooms across the UK is a key part of their success over recent years. Merit were commissioned to create a showroom environment that demonstrated both the quality and beauty of their products. 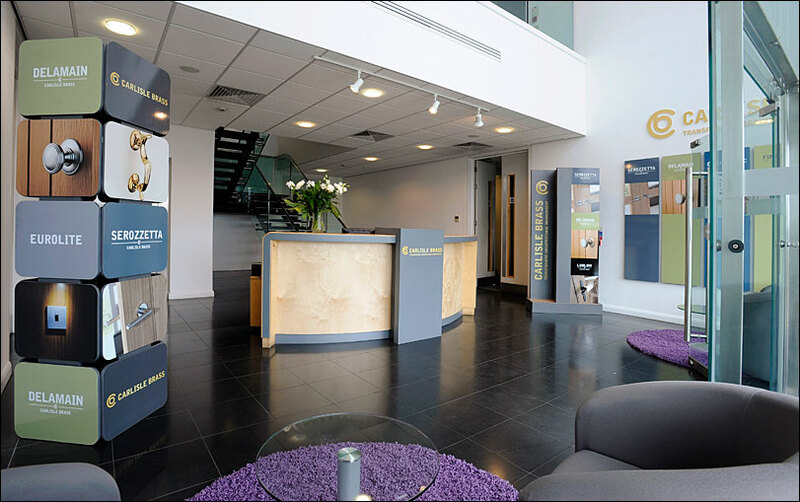 Our retail display solution included the design, manufacture and installation of flooring, furniture, bespoke reception desks, custom product displays, various signage and graphics. These same concepts and designs were replicated into the wider retail environment, with custom freestanding display units that both showcased and stored their products. The key to our design was maximising the usage of floor space to create a display that would deliver results.